Tom Orchard talks about the living traditions that have passed through generations of the family; of song, music, dance and the Romany language; of tales and oral history. Tom will be ably assisted by his wife Jean and their sons Ashley and Richard as they explain and share a tradition that is both contemporary and historical. Martin Shaw is one of the country’s best-loved storytellers and the leading teacher of myth of his generation. In troubled times it can be easy to fall into either despair or numbness, and it was a traditional role of the storyteller to rouse both beauty and vocation in such moments. To attend to the grace. In this electrifying evening, Shaw will bring myths that remind us of love, grief and the mysteries. He will also be talking about his new book, The Night Wages, a rumination on the vitality of ancient stories in modern times. Tickets £10.00 (selling fast since Edgelarks announced the gig on their website). Telephone 01837 840775 or email to book tickets. The renamed BBC award winning duo Phillip Henry and Hannah Martin. Hailing from Lancashire, Henry is a slide guitarist and harmonica player. He has immersed himself in the music of the Deep South of America, traditional music of the British Isles, and Indian classical music. Specializing in lap slides techniques, his Dobro playing draws together these diverse influences. His harmonica style combines country blues and folk styles with beat-boxing to create a 21st-century harmonica sound heavily steeped in tradition. Martin is a singer-songwriter and multi-instrumentalist from Devon. Writing mainly on fiddle, viola, and banjo, and drawing on the traditions of the British Isles. The concert is one in a series of preview tours to showcase their new album. 2019 sees Richard Digance reach his 70th year, 52 of which have been spent on the road. Spend an evening with legendary comedy songwriter Richard and see for yourself how he has managed to retain the respect of fellow-performers and the general public alike. ‘Richard Digance is brilliant’ Bill Bryson. ‘A National Treasure’ Bob Harris. With special guest Eric Sedge. Tickets £12.00+ advance from WeGotTickets Go to website for more information, telephone 01803 875527 or email Twin sisters Laura and Charlotte Carrivick are widely known on the UK folk scene and recently celebrated over 10 years performing together with the release of their ’10 Years Live’ album. Their years of experience performing all over the UK and abroad have gained them a strong reputation for engaging live performances, multi-instrumental dexterity (fiddle, banjo, mandolin, guitar and dobro), tight sibling harmonies and finely crafted original songs. They have a unique sound incorporating their musical background of American bluegrass and old-time but also being influenced by English folk lore, having grown up in South Devon. “Comparisons to Alison Krauss & Union Station would not be out of place..."
UK alt -folk duo Jacob & Drinkwater have been called ‘stand out new Folk’ by BBC6 Music and ‘inventive and thrilling’ by R2 Magazine. Jacob's sweeping vocals never fail to captivate, delivering many a spine-tingling moment; the fluidity and precision of his finger-picking underpinned by Drinkwater's nimbly rhythmic double bass; at times sweetly soaring, haunting, percussive and driving, the layers of depth a perfect counterfoil. Featured numerous times on BBC Radio 2, BBC 6 Music and lauded by their musical peers as one of the most accomplished acts touring the circuit today. No one recreates the authentic sound of American country blues quite like the McCreadys. With intricate guitar picking and deep, sultry vocals, Robbo Lees and Nick Bayes will take you on a musical journey across the southern states of the USA when they perform some well known and lesser known songs from the ‘Deep South’. A concert by some of the finest exponents of the pipe. Pauline Cato, Andy May, Alice Robinson (née Burn), Chris Evans and members of Halsway Manor’s Smallpipes Weekend. For over a decade Black Friday have been playing their foot-stomping mix of high energy, home-brew folk across Cornwall, Devon and far beyond. Their music is influenced by their Celtic roots and folk heroes, their catchy original folk-punk songs and take on folk favourites by the likes of Flogging Molly and Pogues will keep you dancing all night. A screening of the 2017 BBC film, Cornwall’s Native Poet by award winning Cornish filmmaker Jane Darke about the life the renowned Cornish poet Charles Causley. It features interviews with important names in literature such as Sir Andrew Motion, Simon Armitage, Roger McGough and the sound track is comprised of settings of Charles’ poems by his relative, award winning folk musician Jim Causley. Jane will introduce the film, and after the screening will follow a Question & Answer session between Jane, Jim and the audience. Jim will finish the evening by playing a live selection of his musical settings of Causley’s poems. Tickets £15.00+ - Box office telephone 01626 249049 email or to book tickets on-line go to website. Charming, disarming and exceptionally talented, multi-instrumentalist Phil Beer is something of a national treasure on the folk, roots and acoustic scene. One-half of award-winning powerhouse Show of Hands, Beer is equally as in demand for his solo shows. In early 2019 Phil sets out to share some of his most-loved songs at carefully selected venues across the UK. With the odd laugh thrown in for good measure, Beer’s flawless musicianship and rich vocals will leave you wide-eyed and wanting more. Jo Freya. Melanie Biggs and Sarah Matthews manage to create an orchestra and choir of sounds! Between them you get accordion, flute, fiddle, viola, guitar, traditional whistles, soprano and tenor sax, clarinet, bass clarinet and three voices. They present traditional tunes , haunting compositions and songs that will pluck at your heartstrings and they'll have you holding your sides with laughter. "This version of Moirai is destined for great things" (fRoots). Our Featured Artists will be playing a mixture of hokum, ragtime blues and old country music, mainly from the twenties and thirties. Ian plays a fluid and driving Piedmont style whilst Graham adds a Western swing flavour, flat picking his scintillating and jazzy chord progressions. He is also an excellent fingerpicker in his own right. Chris Wood is an uncompromising writer whose music reveals his love for the un-official history of the English speaking people. With gentle intelligence he weaves the tradition with his own contemporary parables. A self-taught musician, composer and song writer, Chris is a lifelong autodidact whose independent streak shines through everything he does. Always direct and unafraid to speak his mind, his song writing has been praised for its surgical clarity. He cites his major influence as “Anon”. Hollow Point; his chilling ballad of the shooting of Jean Charles Menezez, won a BBC Folk Award (he's won six.) and emphatically secured Wood’s place as a serious speech-master for the unofficial history of England. Collaborators include Martin Carthy, Dizraeli, Billy Bragg, Andy Cutting, Andy Irvine, Karine Polwart, Jean Francois Vrod, The Imagined Village, Hugh Lupton, Martin Butler and many others. Plymouth’s four-woman supergroup play with vocal harmonies and their wide-ranging inspirations to offer a unique and special show. ‘Roadworks’ Solo tour. Steve once again takes to England’s highways and byways to present ‘Roadworks’ – a show which builds on the success of his sell-out 2018 solo tour ‘Songs and Stories’. This is a stripped-back, one-man show that’s infused with wit, warmth and alchemy, beautifully illustrated by his trenchant songs of history, love and conscience. Tickets £14.00 advance, £15.00 door. £1.00 reduction for Friends of Calstock Arts, £8.00 under 18s. Go to website for more information and tickets or telephone 01726 879500. A unique collaboration between three of England’s finest folk musicians, Andy Cutting (button accordion), Sam Sweeney (fiddle) and Rob Harbron (concertina) are each regarded as exceptional performers and masters of their instruments. Together their performances combine consummate musicianship, compelling delivery and captivating spontaneity. Leveret’s music is not arranged in the conventional sense and the trio rely on mutual trust and musical interaction to create new settings of their repertoire in the moment, with no two performances alike. Their playing is relaxed and natural, drawing audiences in and inviting them to share in music making that is truly spontaneous and timeless. Fiddler Sam Sweeney was the 2015 BBC Folk Awards Musician of the Year, directs the National Youth Folk Ensemble and is known for his work in Bellowhead, Eliza Carthy & The Wayward Band, The Full English and his own Made In The Great War project. Melodeon genius Andy Cutting, a four-time BBC Folk Awards Best Musician, is a compelling solo performer and currently works with Blowzabella, Topette, June Tabor and Roger Daltry. Concertina wizard Rob Harbron leads the English Acoustic Collective summer school and is known for his work with The Full English (Best Group and Best Album BBC Folk Awards 2014) and Jon Boden. Leveret’s music is firmly rooted in the English tradition but sounds fresh and new. Their most recent album Inventions features entirely original material that brings Leveret’s trademark groove, energy and intuitive playing to bear on a set of new tunes composed by the trio, three of today’s finest tunesmiths in the folk field. Singer/Songwriter John Adams draws influences from the likes of James Morrison, Sam Smith, David Gray and James Blunt. With emotive and heartfelt narratives woven together as stories, John’s expressive and nuanced vocals compliment his acoustic approach and atmospheric piano accompaniments. John has supported household names such as Take That, Lemar, Stooshe, T’Pau, The Christians and Katherine Jenkins. His hard work and impressive live performance has gained a strong following with over 6 million views on YouTube and a steady 140,000 monthly listeners on Spotify. Lots of fun and lively Irish and Scottish music. Come and sing along to those well-known Irish songs. Bar and doors 7.00pm. 7.30pm start with The Tavy Tars, followed after the interval by The Kit Hillbillies. An evening with songs of mayhem … shootings, shipwrecks and daring escapes from breakneck bluegrass to salty sea shanties, a rollicking musical adventure is about to embark! Matt Harzer, Joe Whibrie and Jacob Cracker serve up an evening of their own tunes followed by a selection of the finest cheesy tunes around. Think Cliff Richard having drinks with Boney M and sharing a taxi home with Right Said Fred. Songs for the spirit, folk-pop with a mystical Celtic edge. Contemporary folk band from Bristol, fusing deep folk tradition and acoustic instrumentation, Faeland bring their innovative and subtly experimental approach to contemporary music. The band features some of the South’s finest folk musicians, with singer Rebecca Nelson and guitarist/multi-instrumentalist Jacob Morrison at its songwriting and musical core. Songs will be performed on an all acoustic line up of violins, lush vocals, banjo, charango, acoustic guitars, double bass, accordion and Celtic harp. Marilyn Tucker, Sarah Owen and Amy Wilson (of Wren Music) return to The Cygnet Theatre for their fourth annual celebration for International Women’s Day. In 2019, the professional singers and community choir will share the unsung stories of women’s lives by exploring fabrics, with traditional songs of wool, lace and linen and contemporary works on factory life and community banners. Tickets £8.00 from the Bridge Inn 01392 873862. Impossible to classify, with her striking songs and appearance Jess McCallister walks a line that begins with Kate Bush and ends somewhere east of Lady Gaga. She's appeared at Beautiful Days and countless festivals, and has also been featured by Bob Harris on his 'Under The Apple Tree Sessions'. A true original it's difficult to think of many singer/songwriters approaching her ability to mesmerise an audience. This intimate session sees her accompanied by Lucy Piper on drums and Jake Miller on bass, and support is provided by Bristol based jazz-folk duo Selke. Peter is a professional singer/songwriter who has to date had an amazing career performing, recording and touring throughout Europe since the seventies. He has played alongside artists such as Ruby Turner, The Blues Band, John Mayall, The Animals, John B Sebastian, and Hue and Cry to name a few. His music embraces a wide range of genres and his repertoire includes originals and covers from 60s folk to 80s music from Difford and Tilbrook and Elvis Costello etc. Tickets £5.00+ from WeGotTickets or telephone 01363 83279. An evening with Bondleigh Barn Band. With over forty musicians, they really know how to entertain their audiences with music spanning four centuries from classic to contemporary. More than simply a folk-singer, multi award winning singer-songwriter, musician and proud Devonian Jim Causley is an all-round entertainer and during the past decade Causley has been nominated no less than six times for a BBC Radio 2 Folk Award. Last year he was nominated as “Singer of the Year” at the 2017 BBC Radio 2 Folk Awards, he won the Spiral Earth Singer of the Year award in 2014, presented his own folk music show on BBC Radio Devon and in 2015 he worked with BBC TV historian Dr Sam Willis to create the music for his show 'Highwaymen, Outlaws and Villains' and was asked to perform his song about Dartmoor tin mining 'Pride of the Moor' on BBC TV's Countryfile - Dartmoor Special. 2017 was also the centenary of Jim’s relative; the celebrated Cornish poet Charles Causley and award winning filmmaker Jane Darke made a specially commissioned biographical film about the poet which aired on BBC4 TV on 1st October as part of the Centenary celebrations. The soundtrack to the film was composed entirely by Jim and featured music from his 2013 album ‘Cyprus Well’ of musical settings of Charles’ work. Teign Playford - with Gwyn George and Jean Foster. The ever popular singer/songwriter Martin Weller needs little introduction. He has performed at numerous festivals and venues throughout the UK and abroad and has a number of successful albums to his name. Martin will be performing a selection of rock and pop classics together with some of his own amazing songs. Shanty workshop led by the Exmouth Shanty Men. Lead a song, join in and ask us about joining our crew. Nick Dow has been singing traditional folk songs for over Forty years. He has had a big influence on the folk scene and most recently award winning Jim Moray has quoted Nick as an influence, singing two songs from his repertoire and including one on his latest album. Nick is an acknowledged expert on West Country folk songs. Every song Nick sings has a story attached to it, and his gigs are as informative as they are entertaining. West Country folk-rock duo Sound Of The Sirens have announced their new album, This Time, out January 25th 2019 via DMF Records, as well as a 21-date UK tour starting in January. Their live shows combine a natural facility for connecting with their audiences and unforgettable performances with warmth, humour and, above all, real conviction. Ceilidh - Caller Jeremy Child; multi-instrumentalist Chris Jewell. Tickets (includes a pasty) £8.00 adult, £4.00 U18, from Tickets from Kay 01364 72475 or Alison 01364 643741. Please bring your own drinks. South Devon Storytellers welcome Totnes' own Olly Hurd-Thomas, who has been telling stories for over twenty years. He brings a powerful physical presence to his performance, with a potent blend of humanity and heart. It is dark, very, very dark, and deep in the mountain power is stirring. She shrugs the sleep from her great shoulders and feels the hunger rise in her belly. Bear awakes. Come now, and listen, as Bear weaves a path through story and song, following a thread drawn by love, war and magic. What kind of courage does the raw savagery of the wild demand? What kinds of strength are needed in the face of pain, isolation and fear? What kind of love can heal the wounds of war? This performance is intended for an adult audience. Children may come with parental support but some elements may be unsettling for those younger than 13. Wildwood Jack are a unique acoustic guitar and ukulele duo from Kent in the UK. Their melodic songs blend the acoustic guitar and ukulele with outstanding fingerstyle playing drawing influences from folk, country and world music. They embrace the troubadour lifestyle and spend large parts of the year touring across the UK, Europe and New Zealand. An acoustic concert with English folk duo Nick Wyke & Becki Driscoll in the beautiful setting of Belstone church. This is part of their 'Beautiful Spaces' tour. Tea and coffee will be served in the church during the interval but the pub is right next door if you prefer something stronger! A percentage of the ticket price will go back to the church. Steve Turner is known as an excellent and multi-instrumentalist but particularly known as a pioneer of concertina accompaniment. He became prominent on the scene about four decades ago, then prior to 2005, took a 13-month gap to pursue stringed-instrument building business. Now back with a vengeance, he is proving himself to be as strong, accomplished and entertaining as ever. His material is largely traditional or based in the tradition with a sprinkling of his own tunes and songs. Tickets £14.00+ - Box office telephone 01626 249049 email or to book tickets on-line go to website. The Thirsty Farmer, Talaton Road Whimple EX5 2QQ. Two of the Bicton’s favourites bring you an evening of popular songs covering a wide range of musical genres from folk to rock, reggae to pop. Sara’s beautiful singing is perfectly complimented by Dave’s competent guitar playing when the duo perform a selection of folk, rock and indie covers. St.Patrick’s Party with Paignton based Irish/Celtic/American band Paddy’s Whiskers on Banjos, fiddles, mandolins, border bagpipes, percussion, harmonica. Fast and furious jigs and reels, and - for St. Patrick’s Day - a night of Irish sing along favourites together with a scattering of bluegrass and original songs and tunes written by the band. This will be the last Paddy’s Whiskers gig at the venue as the owner is giving up the lease, and Andrew and Jules from Paddy’s Whiskers are moving to the Isle of Skye! Venue can be contacted on 01803 323312. More information from Paddy's Whiskers or telephone Andrew on 01803 520798. Join English folk duo Nick Wyke & Becki Driscoll for a series of intimate acoustic concerts in beautiful spaces. The joyful combination of English fiddle partnership Nick Wyke & Becki Driscoll welcomes you into their family from the first note. This is a masterclass in the art and mystery of connection; two fiddles and two voices working in cinfidence and synergy creating music infused with England's shared stories, songs and melodies. Tickets £12.00+ advance from WeGotTickets Go to website for more information, telephone 01803 875527 or email Following a highly successful crowdfunding campaign in 2017, the band have released a brand new album which has received 5* reviews in both Rock n Reel and fRoots. The title track “Year of the Clown”. With their quirky and original approach to music, and their passion, intensity and sheer joy of life, 3 Daft Monkeys have gained themselves a large and loyal cult following. Their music is hard to pigeon-hole, mixing and crossing many musical genres from Celtic, Klezmer, Gypsy, Balkan, Latin, Ska, Dub Reggae, Indie, Rock and even a hint of Shostakovich. A spirited fusion of friendship and musicianship, the Phil Beer Band delve into the back catalogues of Phil’s beloved country, rock, folk and blues influences throughout the years to create their infectious and unique ‘folk n roll’ sound. Throw in Phil’s blistering guitar solos, a healthy seasoning of lively tunes and banter plus a pint or three, and you know you’re in for a cracking night. Completing Phil’s line up are Gareth Turner (melodeons), Olivia Dunn (fiddles), Emily Slade (guitar, vocals), Greg McDonald (bass, vocals) and Steve Crickett (drums). Irish band The O'Marleys will be playing lots of lively Irish and Scottish music at Oddfellows. Celebrating St Patricks day a day early. Expert fiddler Mac racing away with fast Jigs, Io on BANJO, John on guitar, all 3 will be singing their hearts out with sing along Irish songs. At once a poet’s autobiography, a theatrical song cycle, and a journey through the romantic imagination and the national soul of Ireland, “In the Deep Heart’s Core” follows the life of the Celtic visionary poet and activist William Butler Yeats, moving through dreams and heartbreaks toward ultimate spiritual triumph. “In the Deep Heart's Core” opened in 1994 at Chicago's Bailiwick Repertory Theatre to unanimous critical acclaim, receiving a 1995 Jeff Citation for Outstanding Original Music, and was featured at the Smithsonian Institution in Washington D. C., a four-week run at Virginia's nationally-known Barter Theatre, a four-week run at Philadelphia's Movement Theatre International, and a national tour. Summer of 2015 marked a first for the work: a tour of Ireland during the international celebration of the 150th anniversary of W. B. Yeats’s birth. The new group includes the composer, Joseph Sobol, who directs the George Ewart Evans Centre for Storytelling at University of South Wales; the brilliant Russian-English folksinger Daria Kulesh, and virtuoso pianist Marina Osman. Irish musician Fanchea McKinley invites you to a special St Patrick’s evening of lively and evocative music from the Emerald Isle when she hosts a session featuring singers and musicians from all over Devon. If you sing or play, come and join in. All abilities are welcome. It’s a great night to meet up with people with Irish roots too. Paignton based Irish/Celtic/American band Paddy’s Whiskers with banjos, fiddles, mandolins, border bagpipes, percussion, harmonica. Fast and furious jigs and reels, and - for St. Patrick’s Day - an afternoon of Irish sing along favourites together with a scattering of bluegrass and original songs and tunes written by the band. Venue can be contacted on 01803 411819. More information from Paddy's Whiskers or telephone Andrew on 01803 520798. Tickets £10.00+ advance from WeGotTickets Go to website for more information, telephone 01803 875527 or email Jake Morrell could have come straight out of Nashville, or even from the Californian sunshine, as his music suggests; but Jake is from Norfolk, England! Jake was ‘discovered’ by Dermot O’Leary, who featured him on his Radio 2 Show. One influential listener just so happened to be Glastonbury boss Emily Eavis, who immediately asked Jake to perform at the iconic festival. Jake's debut single reached No.2 in the iTunes country charts on the first day of release. Martyn Wyndham-Read has been involved with folk music for over forty years. In his late teens he left his mother’s farm in Sussex and headed off, with his guitar, to Australia where he worked on a sheep station. There he heard first hand the old songs sung by some of the station hands and became captivated by these songs and the need to know more of them and where they came from. He headed off to Melbourne and became part of the folk song revival throughout Australia during the early1960’s. Back to England in 1967 he met up with the renowned singer and song collector Bert Lloyd, who himself had spent time in Australia. Martyn was asked by Bert Lloyd to be part of the album ‘Leviathan’ on the Topic label and soon after he started recording for Bill Leader and touring extensively worldwide. Come and enjoy a gentle evening with one of the most respected and likeable singers on the folk circuit. Tickets £3.00 on the door For more information email. Local storytellers give us their best traditional tales around the fire. Hosted by Katy Cawkwell and featuring Hilary Ackland, Robin Eastoe, Anne Gwynn, Olly Hurd-Thomas, Elaine Mendoza, Tricia St Clair and more. With her unique vocal style, singer and musician Eliza performs a wide range of folk, blues, American old-time and contemporary songs that spans over a century of music. In support we have Verity Greenaway a guitarist with a beautiful voice and a songwriter since she was 14 years old. She is in much demand as a performer in the region and is a regularly host of the Barnfield Music Club, Exeter. Verity has played at the Bradninch Folk Club and the Bradninch Music festival. Tickets £6.00 Go to website to for more information and to book or telephone 01626 249049 or on the door. The 2019 Festival begins tonight, fluttering into action with the vibrant energy of a skylark and the lexical dexterity of a high-flying poet. Gill McEvoy has published two full collections with Cinnamon Press and three poetry pamphlets with HappenStance Press; of these The First Telling was winner ofthe 2015 Michael Marks Award. She is a Hawthornden Fellow and writes short fiction in addition to poetry. show off the exceptional blend of instruments and voices. Skylark’s performances never fail to create an uplifting atmosphere. Free entry. Go to website for more information and tickets or telephone 01726 879500. Jeffrey Palmer (countertenor) and Riko Higuma (piano) present an assortment of arias, art songs, folk music and solo works that provide their own unique reflection on the idea of beauty. Free entry, informal atmosphere, donations to the performers please. Three highly acclaimed singer-songwriters present their songs in turn in this beautiful venue. A great chance to compare and contrast three different styles and approaches to the art of songwriting. Over the years Davey's songs have been recorded by numerous bands including The Unthanks who performed “Magpie” on their recent album. Now enjoying a very successful resurgence as a solo prog-folk powerhouse, Davey writes evocative songs full of passion and wit and plays the mandolin like a true master! Goodspeed is a Plymouth-born blues-folk singer/songwriter who has been described as ‘a wonderful storyteller and a riotous rabble-rouser’. His songs have been recognised and embraced locally by the likes of BBC Introducing in Devon. Goodspeed has built an impressive reputation across Devon and Cornwall for his supremely entertaining, high-energy live shows. For the last decade Oliver has dedicated his talents towards shedding light on rural lives of his native Devon. With Barney Kenny he formed the folk duo Tamar and released two albums, "A Long Way From Home" and "A Letter From the West". He is now pursuing a solo career and his debut album, "The Village", will be released soon. This is a concept album based on Westcountry villages. He will be performing songs from all three albums. Expect a fantastic night of musical story-telling, emotive lyrics and passionate performance from someone who cares so deeply about his home. Mae is a British songwriter with a rich, acrobatic voice and a distinctive circusesque piano style. Raised in a musical family and one of seven children, she began learning piano, violin and singing as a child, before going on to study at Dartington College of Arts and California Institute of the Arts in LA. Her training began classically, but quickly spread to music spanning Eastern Europe, Bulgaria, Africa, North India and Java as well as in jazz, folk and more popular modern styles. Support: brilliant Bert Miller! Presented by The Whitehouse Sessions. Dinner menu choose from: Slow Cooked Beef in Red Wine with Braised Red Cabbage, Roasted Celeriac, Crispy New Potatoes / Pan Fried Salmon with Crispy New Potatoes, Roasted Fennel and Wild Garlic / - Mushroom, Brie and Cranberry Puff Pie with Crispy New Potatoes, Braised Red Cabbage and Roasted Celeriac. Jim Causley and Bill Murray come to Widecombe for a proper Sailing Club doo on March 22nd 2019. This is going to be a ground-breaking gig for us as, for the first time, we're going to be in the Cafe on the Green on a Friday evening. Hells bells!!! Can you stand the excitement? Jim Causley is known to many of us (if not all of us) partly because he's a lovely local chappy, based in South Zeal, and therefore performs a lot in our part of the country (including at Widecombe Fair) but mainly because he came to the Sailing Club in December 2016. Everybody loved his show so we decided to ask him back and this time, we asked Bill to come along as well. A new show that centres around a small flat in Kilburn, London in the mid-1960s. Then the abode of up-and-coming singer-songwriter Roy Harper and his wife, the flat was an after hours hangout for the legends who played in Soho at the height of the acoustic explosion in swingin’ 60s London. Bert Jansch, Davy Graham, John Renbourn, Paul Simon, Marc Bolan, Sandy Denny and others dropped in to drop out, jam and try new tunes. Also there was a toddler, inhaling the music and absorbing the vibe – Roy’s young son. Nick later carved out his own musical career and in this unique one-off show he plays tribute to the time, the place and the music that became the centre of everything for him and the rest of his ‘family’. The first half will see Nick delve into the songs he heard direct from the greats when growing up. In the second half Nick will trace the journey of how these luminary figures’ music evolved and helped shape popular music beyond the 60s. Tickets £10.00+ advance from WeGotTickets Go to website for more information, telephone 01803 875527 or email The Brass Funkeys draw from the traditions of New Orleans with skilled musicianship, rolling from spirited second line revelry to soulful jazz funeral marches and pumping brass driven funk. Reggae, DnB, gypsy, swing and Latin influences are exposed in an eclectic live show revealing a band bursting at the seams with ideas and infectious energy." 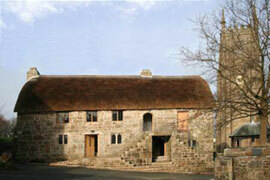 Harberton Parish Hall, Tristford Road, Harberton TQ9 7SE nr Totnes. Doors 7.15pm for 8.00pm start. A rare opportunity in the South-West to catch two of the best traditional musicians you are ever likely to hear. Having toured together since 1986 to packed concert halls all over the world, multi-award-winning Aly & Phil continue to charm audiences with their stunning music, and on-stage charisma that defies description. Witty and humorous banter sits alongside tunes that tug the heartstrings, and joyous reels and melodies that have feet tapping along. Aly (MBE and Doctor of Music), a founder member of Boys of the Lough, is rightly regarded as Scotland's supreme fiddler- arguably the finest of all time. Aly launched the popular BBC TV series ‘Transatlantic Sessions’ in which he and Phil appear. Phil (MBE) is a world famous accordion player and composer. In recent years Phil's work-load has included many commissions for TV and film and an increasing amount of work as musical director for television and theatrical events. Cohen Braithwaite-Kilcoyne plays melodeon, concertina as well as singing. George Sansome also sings, and plays guitar – he also plays euphonium, but not in Granny’s Attic! Lewis Wood provides fiddle and mandolin, and writes many of the tunes the group play. In his other life, he is a composer, and also plays for dancing. Extraordinary talent is exhibited by this ‘boy band’, and their enthusiasm is infectious! We’re in for an exceptional night! Nigel is a highly popular musician/singer and a master of country/folk finger style guitar. He has performed at numerous festivals and venues throughout the South West to rapturous applause. Today Nigel will be playing some very chilled out country/folk/blues classics. Mick Ryan, James Patterson, Dave Bordewey, and Paul Downes have reunited to reform the hugely popular 1980s group Crows. Featuring two of the finest male voices in the english folk tradition; Mick Ryan and James Patterson together with masterly musicianship from James on guitar, Paul on guitar, mandocello, mandolin and banjo and Dave on fiddle and mandola. Tickets £7.00 adult, £3.00 U16, from Alison Bloomer by cheque+sae to Stoke Cannon Inn, High Street, Stoke Canon EX5 4AR; also available on door from 7pm. Raising funds for the community to buy the local pub (50 yds from the church, so have a drink before/after the gig), and keep the village alive. Tea/coffee available in the church. The Feast of Fiddles band-waggon trundles merrily on in its Silver Jubilee year. Born in Nettlebed on Valentine’s Day 1994 as a one off special concert, Feast of Fiddles has done 25 spring tours, 24 festivals and has 7 CDs to its name. Not bad for a bunch of old folk-rockers! This is a band of friends that puts on a show of huge dynamic range performed with passion, joy and a liberal dose of fun. Fiddlers Peter Knight (Gigspanner, Steeleye Span), Chris Leslie (Fairport Convention), Brian McNeill (Battlefield Band), Ian Cutler (Bully Wee), Tom Leary (Lindisfarne) and Garry Blakeley (Band of Two) add the large range of fiddle playing styles to the rock back-line of guitars, keyboards, sax and accordion – all held together by legendary drummer Dave Mattacks. A live music entertainment like no other on the circuit which is guaranteed to be enjoyed by even the most doubting of friends dragged along! Saskia Griffiths-Moore celebrates the release of ‘Ocean of Stars’ her strongest and most unusual album yet! Drawing from Roots, Americana and Folk music, Saskia’s new album touches on subjects of life and death in an unusual and positive Brit-Country style. With support from Jack Cookson. Tickets £10.00 (to include ploughmans + pudding) available from Becky 07809 260544 or Liam 07597 365991. Open to all, children welcome. Cash bar. Donations to Mind. Mind, the mental health charity to make sure no one has to face a mental health problem alone. Eliza Acty is a singer and musician based in Devon, UK. With her unique vocal style, Eliza performs a wide range of folk, blues, American old-time, original and contemporary songs that span over a century of music. To reserve tickets telephone the Box Office on 01805 624624. To purchase tickets and more information visit website In an intimate 'duolo' show, two of the west country bluegrass band's key members present some stripped back acoustic Americana. With guitars, banjo, mandolin and two voices, they will play both original and classic songs from their own and the Thunderbridge Bluegrass Band catalogues. Enjoy an afternoon of very chilled music in the company of acoustic duo Reefs of Moonshine. Lisa’s angelic voice is beautifully complemented by Nick’s intricate guitar playing to create a very polished sound. The duo will perform their own arrangements of popular melodic songs....drawn from the worlds of folk, country and soul music. Tickets: £5.00 in advance from WeGotTickets /£6.00 on the door. Join Nick and Becki for an instrumental music workshop. Learn a new folk tune created especially for the event. You will need to bring your own acoustic instrument. Music will be taught be ear but notation will also be available so please bring a music stand if you have one. Contact Becki for more details - becki@englishfiddle.com - and please let us know if you play a transposing instrument (e.g. Bb). Dance your cares away with Ben van Weede (fiddle), Joel Segal (fiddle), Howard Harrison (guitar/flute), Martin Henning (bass) and caller Pam Hayes - all welcome. Reel Ale bar and nibbles available. One of a number of events organised throughout the year by South Brent Folk to support folk music in the South Brent area, including the annual South Brent Folk Day on Saturday 6 July 2019 and the Annual ‘Twixt’ Ceilidh on Friday 27 December 2019. Tickets £5.00 available from the New Inn Moreleigh, Harbertonford Post Office or on the door! The South Hams very own Guitar/Ukulele Band! Ukes and Guitars play folk and traditional songs as well as rocky hits. The Dashing Devon Dukes have been evolving for the last 5 years and are made up of keen youngsters from all over the South Hams who love to play ukuleles and guitars and sing together. A lunchtime concert of footstamping, singalong favourites to get the Season started. Proud to be supporting Devon Air Ambulance. Tickets £20.00+ advance from WeGotTickets Go to website for more information, telephone 01803 875527 or email Glenn Tilbrook is one of the founding members and lead singer of legendary British band Squeeze. On this solo tour Glenn will be promoting awareness and donations for The Trussell Trust, the charity that supports a network of foodbanks around the UK. At all venues there will be 'food drop points and collection boxes, and Glenn will also be donating all profits from his merchandise, including an exclusive 4 track EP, to the organisation. Described as a cross between Ry Cooder, Woody Guthrie and Paul Brady, Joe has developed his own unique bottleneck guitar style, which he employs in many of his original songs, and has a voice that can move from velvet soft to steely and powerful. He has played on stage and in the studio with many legends of the British folk scene including members of Fairport Convention, While and Matthews, Andy Irvine and toured as a stand in lead vocalist in the BBC2 award winning "Best live Act", Home Service.